Managing all your leases and contracts, NAAP Leasing will keep track of your agreements allowing you to collect income and meet obligations. Access centralized data and information for Regulatory Compliance with government agencies or local municipalities. Interface with existing billing platforms, legacy systems, etc. Drill down on financial information including Purchase Price, Depreciation, Insurance Premiums, Warranties, Maintenance Expenses, etc. 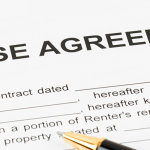 Track contracts, landlord/tenant, payments, renewals, insurance, lease options & terms. Control CAPEX and reduce OPEX. Keeps track of negotiated terms with vendors and subcontractors. Generate accurate utilization reports of leased sites in real time to help identify opportunities to generate additional revenue.